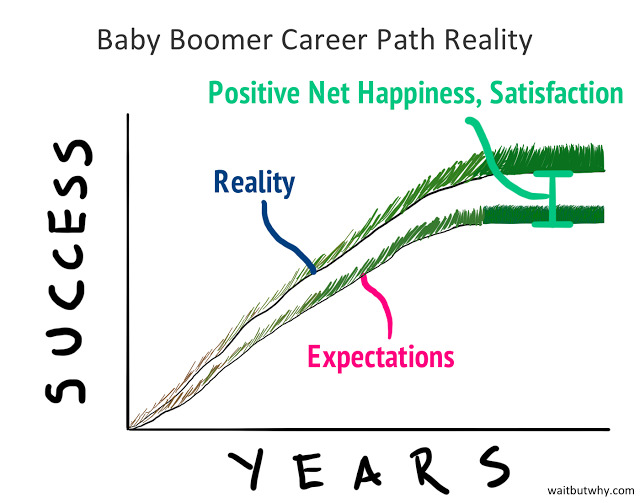 Why Generation Y Yuppies Are Unhappy | HuffPost ","description":"
It's pretty straightforward -- when the reality of someone's life is better than they had expected, they're happy. 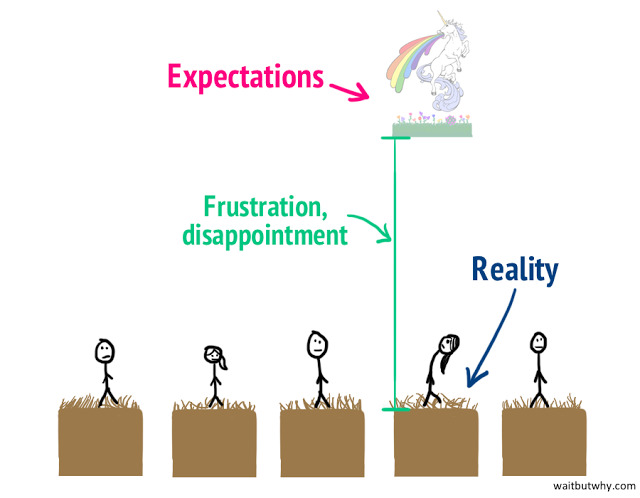 When reality turns out to be worse than the expectations, they're unhappy. Lucy's parents were born in the '50s -- they're Baby Boomers. They were raised by Lucy's grandparents, members of the G.I. Generation, or "the Greatest Generation," who grew up during the Great Depression and fought in World War II, and were most definitely not GYPSYs. After graduating from being insufferable hippies, Lucy's parents embarked on their careers. As the '70s, '80s, and '90s rolled along, the world entered a time of unprecedented economic prosperity. Lucy's parents did even better than they expected to. This left them feeling gratified and optimistic. With a smoother, more positive life experience than that of their own parents, Lucy's parents raised Lucy with a sense of optimism and unbounded possibility. And they weren't alone. Baby Boomers all around the country and world told their Gen Y kids that they could be whatever they wanted to be, instilling the special protagonist identity deep within their psyches. This left GYPSYs feeling tremendously hopeful about their careers, to the point where their parents' goals of a green lawn of secure prosperity didn't really do it for them. A GYPSY-worthy lawn has flowers. The GYPSY needs a lot more from a career than a nice green lawn of prosperity and security. The fact is, a green lawn isn't quite exceptional or unique enough for a GYPSY. 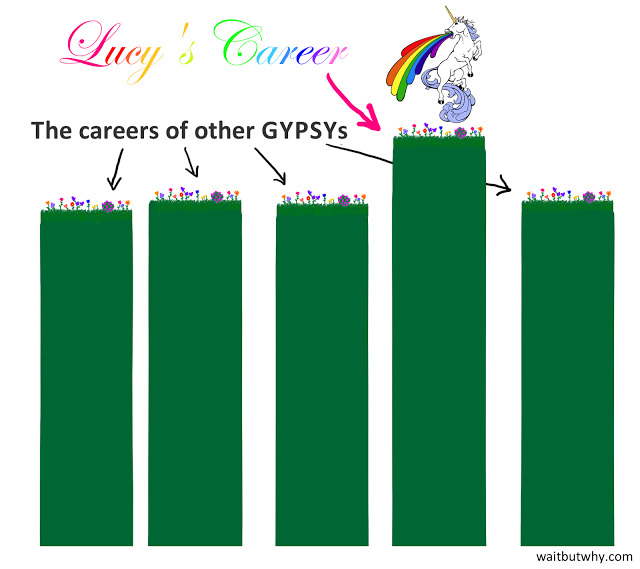 Where the Baby Boomers wanted to live The American Dream, GYPSYs want to live Their Own Personal Dream. 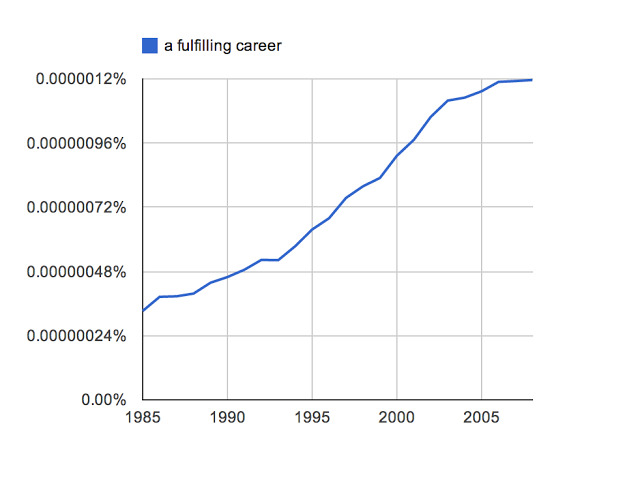 Cal Newport points out that "follow your passion" is a catchphrase that has only gotten going in the last 20 years, according to Google's Ngram viewer, a tool that shows how prominently a given phrase appears in English print over any period of time. 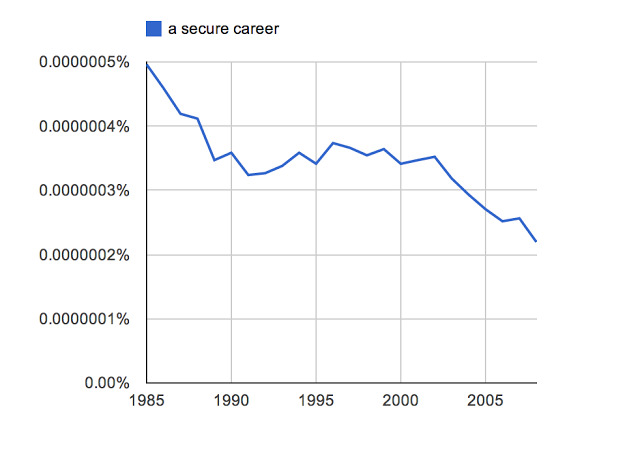 The same Ngram viewer shows that the phrase "a secure career" has gone out of style, just as the phrase "a fulfilling career" has gotten hot. To be clear, GYPSYs want economic prosperity just like their parents did -- they just also want to be fulfilled by their career in a way their parents didn't think about as much. According to this definition, most people are not special -- otherwise "special" wouldn't mean anything. Even right now, the GYPSYs reading this are thinking, "Good point... but I actually am one of the few special ones" -- and this is the problem. Unfortunately, the funny thing about the world is that it turns out to not be that easy of a place, and the weird thing about careers is that they're actually quite hard. 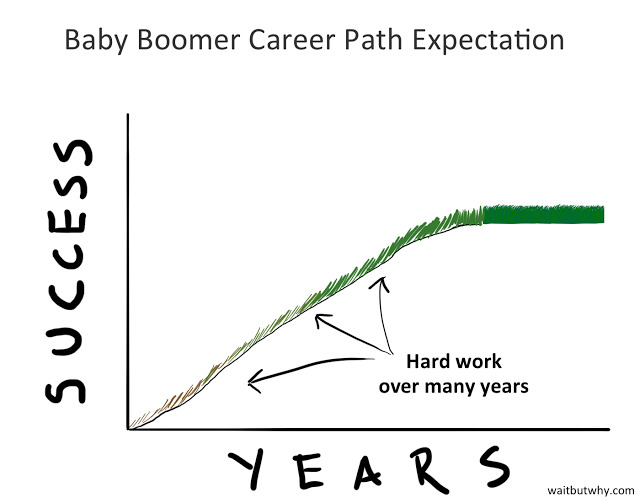 Great careers take years of blood, sweat and tears to build -- even the ones with no flowers or unicorns on them -- and even the most successful people are rarely doing anything that great in their early or mid-20s. But GYPSYs aren't about to just accept that. Paul Harvey, a University of New Hampshire professor and GYPSY expert, has researched this, finding that Gen Y has "unrealistic expectations and a strong resistance toward accepting negative feedback," and "an inflated view of oneself." 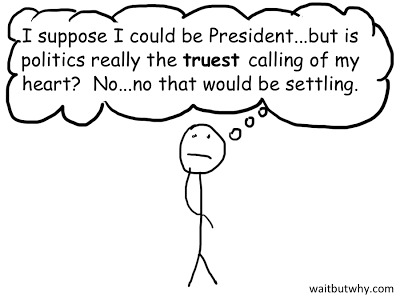 He says that "a great source of frustration for people with a strong sense of entitlement is unmet expectations. They often feel entitled to a level of respect and rewards that aren't in line with their actual ability and effort levels, and so they might not get the level of respect and rewards they are expecting." For those hiring members of Gen Y, Harvey suggests asking the interview question, "Do you feel you are generally superior to your coworkers/classmates/etc., and if so, why?" He says that "if the candidate answers yes to the first part but struggles with the 'why,' there may be an entitlement issue. This is because entitlement perceptions are often based on an unfounded sense of superiority and deservingness. They've been led to believe, perhaps through overzealous self-esteem building exercises in their youth, that they are somehow special but often lack any real justification for this belief." Lucy's extreme ambition, coupled with the arrogance that comes along with being a bit deluded about one's own self-worth, has left her with huge expectations for even the early years out of college. And her reality pales in comparison to those expectations, leaving her "reality - expectations" happy score coming out at a negative. 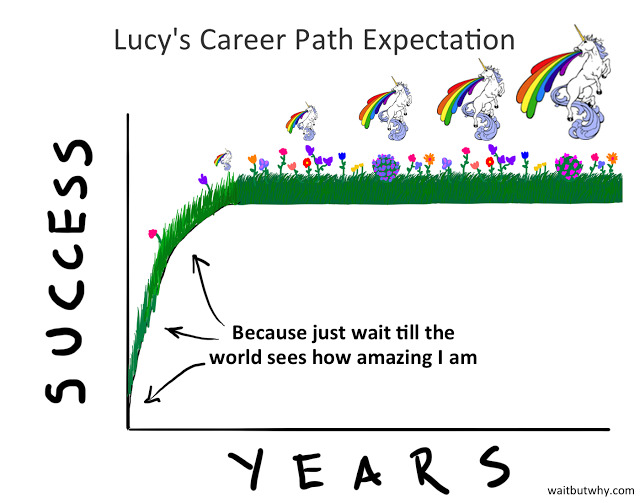 Sure, some people from Lucy's parents' high school or college classes ended up more successful than her parents did. And while they may have heard about some of it from time to time through the grapevine, for the most part they didn't really know what was going on in too many other peoples' careers. 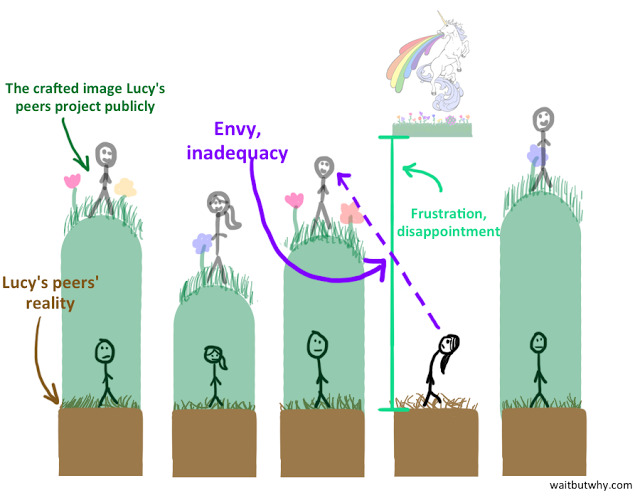 So that's why Lucy is unhappy, or at the least, feeling a bit frustrated and inadequate. In fact, she's probably started off her career perfectly well, but to her, it feels very disappointing. 1) Stay wildly ambitious. The current world is bubbling with opportunity for an ambitious person to find flowery, fulfilling success. The specific direction may be unclear, but it'll work itself out -- just dive in somewhere. 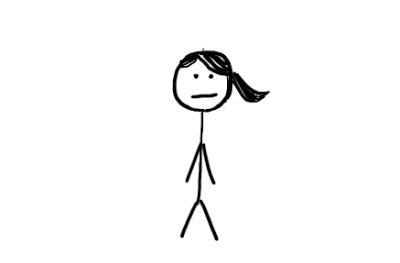 2) Stop thinking that you're special. The fact is, right now, you're not special. You're another completely inexperienced young person who doesn't have all that much to offer yet. You can become special by working really hard for a long time. 3) Ignore everyone else. Other people's grass seeming greener is no new concept, but in today's image crafting world, other people's grass looks like a glorious meadow. The truth is that everyone else is just as indecisive, self-doubting, and frustrated as you are, and if you just do your thing, you'll never have any reason to envy others. If you liked this article, you can subscribe to Wait But Why by entering your email here.